That colorful Shondaland roller coaster is uprooting to Netflix. Shonda Rhimes, the executive producer behind Grey’s Anatomy, Scandal and How to Get Away with Murder — not to mention an expert Tweeter — will leave ABC Studios to join the streaming giant. She’s going to produce new series and other projects for them over the course of many years. The August 14 announcement is a groundbreaker. 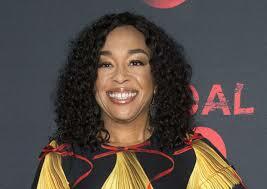 Though not an actress, Rhimes has been the face of ABC for more than a decade. (More specifically, since Grey’s Anatomy established itself as a soapy mix of Felicity-meets-ER.) She’s not interested in mansplaining frat-humor sitcoms. Her stars are female and diverse and mainstream and award winners. Her escapist series stir the cultural pot yet don’t require Phd-levels of analysis. It’s a big win for Rhimes and for Netflix, as the deal proves once again that broadcast networks are becoming as relevant as your old VCR in the basement. Also, let’s underline this point in neon: the best roles for women are on the small screen. Rhimes also wrote an HBO biopic about Dorothy Dandridge. But this isn’t a post about Rhimes’ power to say yes in the industry. I’m here to recognize Shondaland when it was just a lonely ski ball looking for friends. Before Meredith Grey met McDreamy, Rhimes was a fledging screenwriter. Her first movie? The harmless coming-of-age drama, Crossroads. Released in February 2002, it would have slipped in and out of theaters if not for the star that got top-billing. Her name: Britney Spears. This was Britney in her I’m not a girl, not yet a woman phase. (Not speaking metaphorically. That song was on the soundtrack.) Her relationship with Justin Timberlake was beginning to go sour. She cavorted with a snake on the most recent MTV Video Music Awards. She was a year from eloping with Jason Alexander in Vegas. But for one last fleeting moment, she could still get away with innocence. In the film, she and her two childhood besties (Taryn Manning, Zoe Saldana) and a new guy (Anson Mount) embark on a cross-country road trip from Georgia to Los Angeles so Spears’ character can go to her record-contract audition. This was her first starring role. It earned a respectable $61 million, surely based on Spears’ appeal. In fact, Rhimes’ DNA is all over Crossroads: Saldana, a woman of color, is one of protagonists; none of the leads are perfect; none of the leads’ parents are remotely perfect; somebody is tragically killed off. And, notably, Rhimes establishes that boy toys will come and go, but female friendship is the strongest bond of all. The success of Crossroads led to a gig scripting 2004’s The Princess Diaries 2: Royal Engagement. The pilot for Grey’s aired that spring. The rest is TV history. Rhimes hasn’t announced her first Netflix project yet, but a nostalgic piece of me hopes she reaches out to her favorite snake charmer.